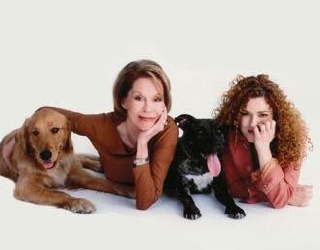 Beginning at 3:30pm Saturday, Broadway stars Mary Tyler Moore and Bernadette Peters are set to host this year’s 13th annual Broadway Barks pet adoption drive where animal shelters from surrounding areas come to participate. After owning her first pet, a golden retriever, Clark adopted a black-and-white kitten from the Artemis Project, a local non profit rescue group composed of actors and authors. Peters remains thrilled that fellow actors continue supporting a cause she holds so dear and close to her heart. To learn more about the 13th annual Broadway Barks pet adoption drive visit Broadway.com at http://www.broadway.com/buzz/156814/13th-annual-broadway-barks/. Or for more information on shelters that may be participating at this years Broadway Barks and schedule of events and location, visit the New York Daily News at http://www.nydailynews.com/ny_local/2011/07/02/2011-07-02_bway_to_lend_a_paw_sister_act_star_heads_annual_adoption_drive.html.